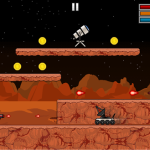 Mars the next frontier. 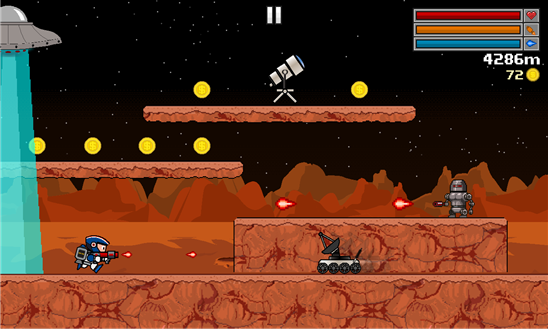 You were sent to explore the new world, now you have to run for your life to escape the unfriendly martians! 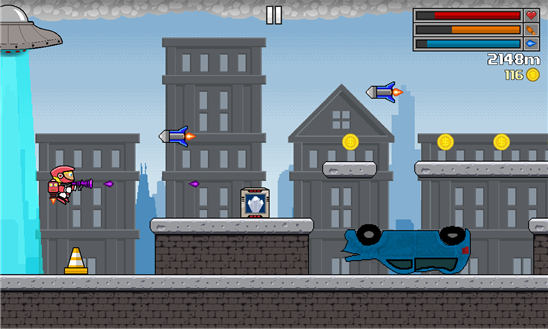 Jump and fly using different jetpacks to avoid obstacles or simply blast them using a wide variety of blasters. Collect coins and complete missions to buy new gear like power ups, upgrades and unlock new characters to see how far you can run! 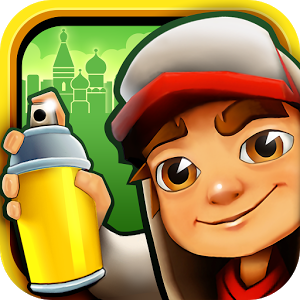 Have a blast as you run and dash your way through awesome designed environments as you race to get higher and higher scores! 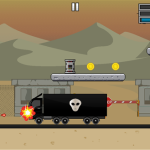 – 5 Fun and exciting environments to run in! 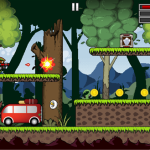 – Blast through obstacles with a variety of high powered blasters! 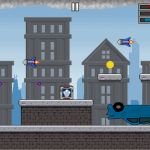 – Fly high with lots of jetpacks to choose from! – Suit up with a great selection of characters to play with! 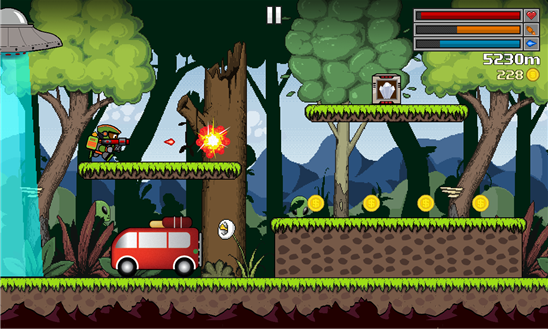 – Get the edge with powerups and upgrades including speed boosts! 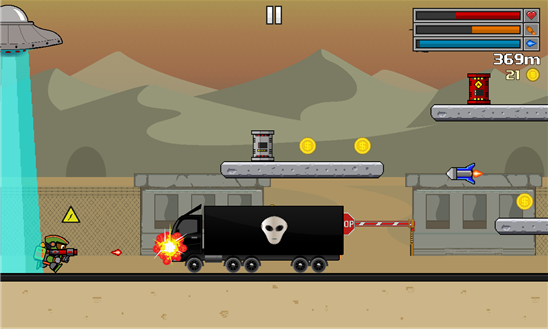 – Take a joyride in the teleporter to travel to new worlds! – Compete with your friends with Game Circle! 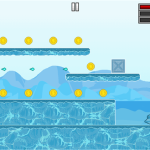 – Plenty of arcade action with tons of obstacles! 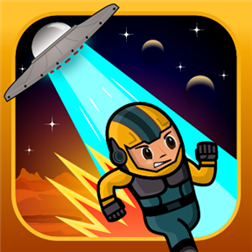 – Hours of endless runner gameplay! 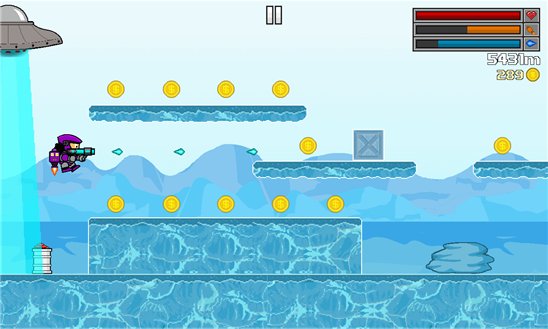 Enjoy this free running game today!